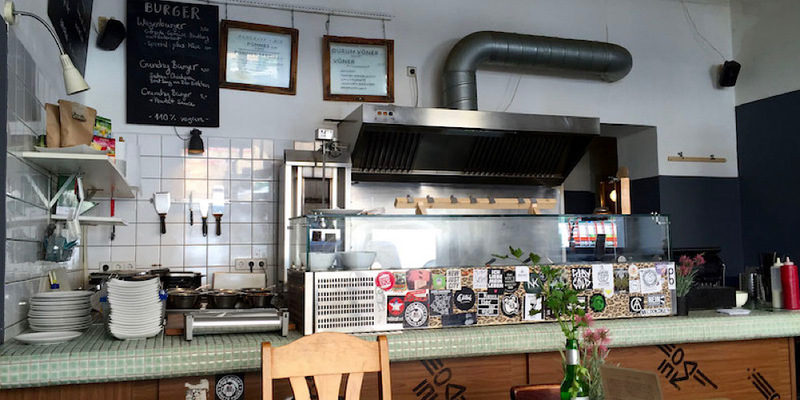 Where you find the best vegan kebabs in Berlin? At Vöner der Vegetarische Döner! 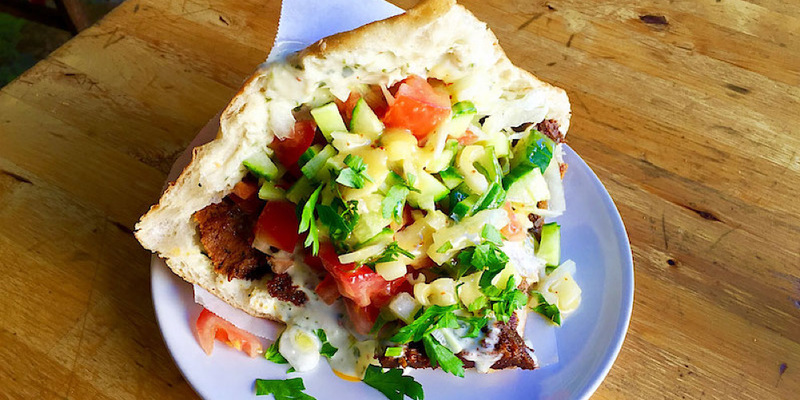 The Kebab, which is actually originally a Turkish street food, has infiltrated the city of Berlin, so much so that's it's now called the most characteristic dish of the city. But what to do if you're vegan and still want some of the savory deliciousness? Voner saves the day! It's classic street food in a hip, funky restaurant with indoor and outdoor seating and a super duper relaxed, laid back atmosphere with cool tunes and artwork to boot. I stopped in to Voner after spending some time eating all the food in Turkey, so I wasn't really too sure if this kebab would be the best I'd ever had, but I was super surprised that I absolutely LOVED my meal. So tasty and scrumptious. And, yeah, I ate the entire thing! 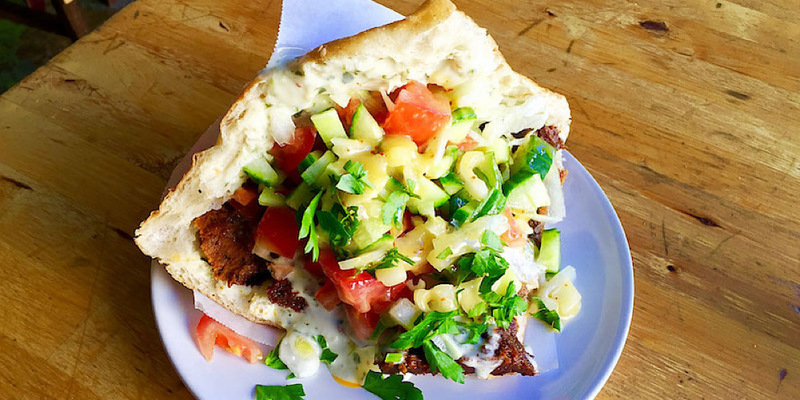 Check it - spicy vegan seitan meat grilled on a skewer, then sliced and served in a humongous fluffy pita bread, stuffed to the brim with fresh veggies, and then smothered in a tasty sauce of your choosing. I chose a creamy tahini-garlic and it was perfection! This article was performed anonymously and product paid for by Burger Abroad. Check out Voner at Boxhagener Str. 56. 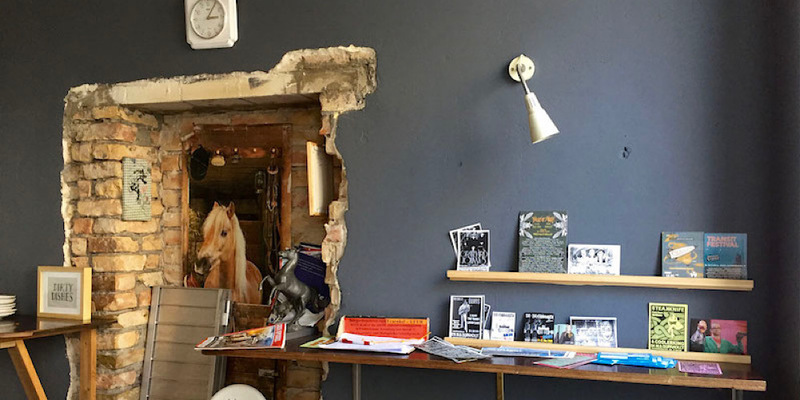 See more delicious Berlin eats.